Oh boy! I've been sitting on this post for 3 days now! I just couldn't get myself going on it! This is November Glymm...and they actually shipped in a decent looking bag! If you're looking for ideas to reuse these, consider using it as the gift wrap for the recipient or perhaps use it to store some precious Christmas ornaments in! Aha! I finally received a product card! The two in the middle were an either or product. There was also a little flyer in the bag. 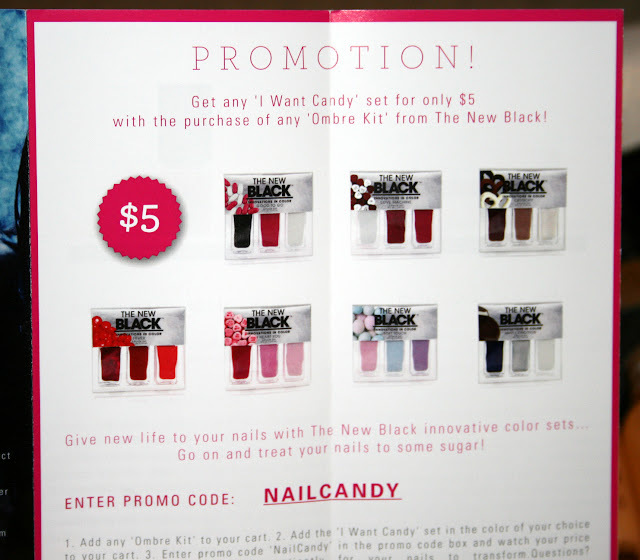 There is a promotion at Glymm if you buy an Ombre Kit from The New Black you can purchase the I Want Candy 3 pack for only $5. Now, this seems like a great deal..until you see the size of their polishes. I know in the past I've almost bought the Ombre Kit several times. As it turns out these polishes are itty bitty at 4ml each. I'm only assuming based on what I received in my Glymm bag this month. 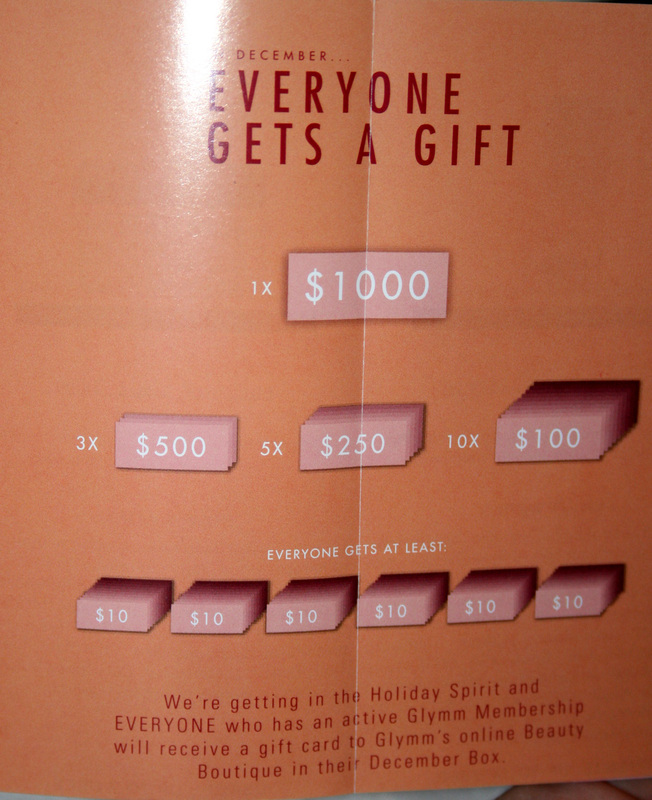 Also, on the back was this card.... and I'm sure we're ALL waiting with bated breath...who will receive that $1000 gift card?! :) How super duper exciting for a number of people to win some great prizes. The nice thing is we all get a $10 GC anyways! I will use mine to purchase the Villainess scrub and body butter! Full size is 500ml retailing for $24.00. Sample size is 60ml valued at $2.88. The next sample is Lys Parisien Professionnel Moisturising Balm with pure and organic Argan oil. I wasn't exactly sure what Balm meant at first but on the back it does mention it's a conditioner. 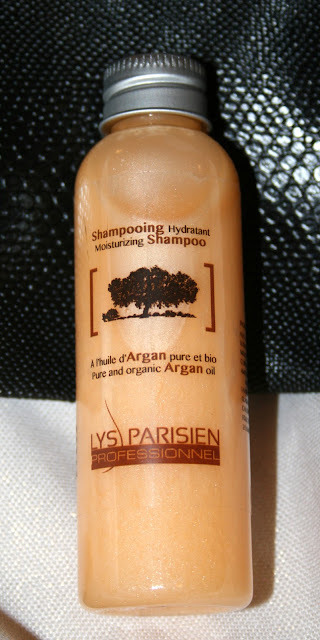 It's supposed to leave your hair hydrated without the heaviness. I actually really appreciate when companies send their matching products, because that's how I always use my shampoos; with their corresponding conditioners. This has a sweeter scent than the shampoo. I just adore the caps on these bottles. I believe they're aluminum so totally recyclable! Next up, is The New Black nail polish in a colour I couldn't tell you! It's a true red. It's a tiny bottle. Glymm says up to 20 uses...I imagine they mean 20 fully painted fingers? I can't see this lasting through 20 full manicures! Nothing really exciting to report here, because it's not an exciting colour. I have however wanted to try their formula for a long time. I'm just surprised at how itty bitty the bottles are. Apparently, it's chip resistant. We shall see, The New Black, we shall see! Of note: It is Vegan. Full size set of 3 is valued at $15.00. Sample size is 1 polish valued at $5.00. Next, is the The Beehive perfume. I received Lulu Lemondrop. It's a mixture of lemongrass and citrus with a fruity blend of pineapple, sweet berries and spun sugar. I've never heard of The Beehive before, however the card says that they are introducing their first collection. The other ones in the collection are Alice Blue and Honey Blossom. I would be curious to try those as well..because this is unlike anything I've smelled before in a perfume. It's definitely unique. It smells really special and fresh. I like it. Now, as far as the vial goes...I know we all dislike those. 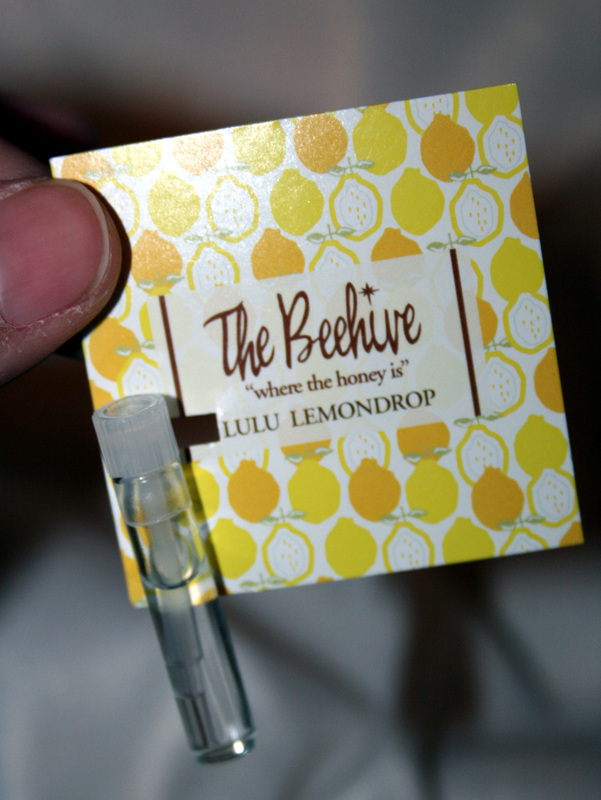 However, I do appreciate the Beehive adding the little stick applicator with the cap. It makes it SO much easier applying these types of samples! The final sample is again from Villainess. 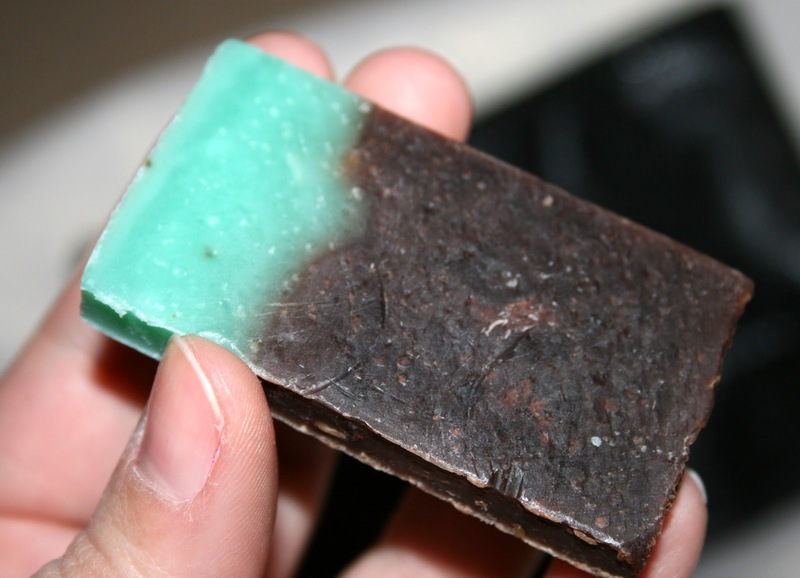 It's a Scintillating Bar Soap with peppermint and vanilla. Holy yummy goodness. At first it smelled really strong, but I left it out for a few days and it mellowed out. I think this is the case with a lot of handmade soaps. I think the package is so cute. I would have never heard of the Villainess before Glossybox and I am perfectly fine receiving samples from this company on a routine basis. 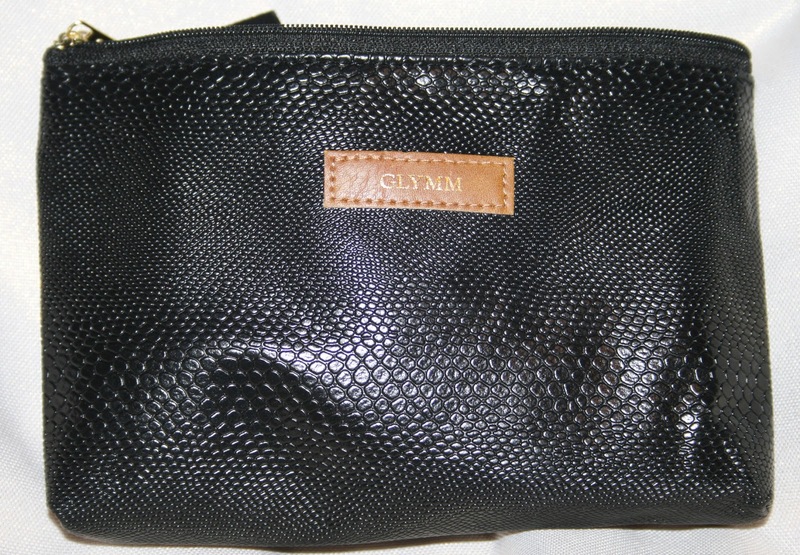 There you have it, the whole November Glymm Bag. I pay $10 plus tax for a total of $11.20. Value of my bag this month was approximately $13.00. Now, that's payed for itself so to speak... I never include the price of the bag which is $12.00 because that's silly to me. In any case, the reason I have stayed loyal to Glymm up to this point is because I've always received good customer service and I really enjoy their loyalty program! What did you think of your November bag? If you're not subbed would this entice you for a sub? Welcome weekend, girls! Almost there! i gotta say that soap smells so amazing! i too would be happy if we kept receiving villainess products. 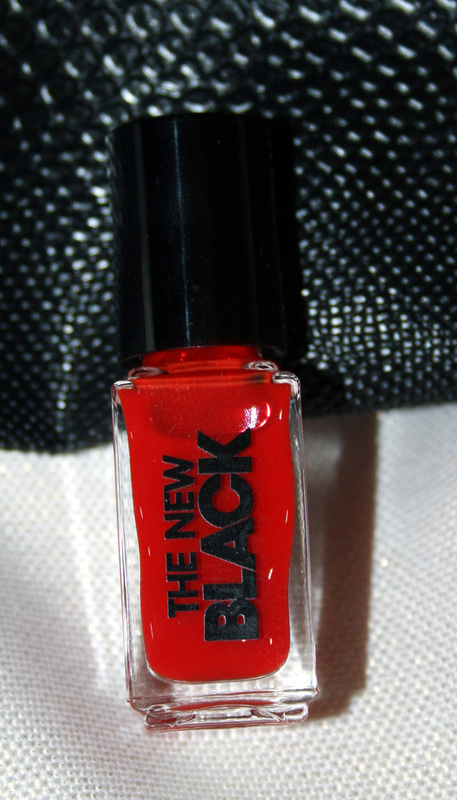 i think we received the same "the new black" nail polish and i found that the colour on my nails was amazing. it's a very pigmented polish with a super glossy jelly finish. Awww, I would email them about that. I'm really surprised they acted all funny. Then again, I'm sure they get the "I'm missing a product" all the time from people. I hope you get both your polishes next month. I've been wanting to try coco lily...but I didn't want to commit to a full year of Glymm..
and i noticed that you may have accidentally referred to Glossybox instead of Glymm about introducing you to Villainess. 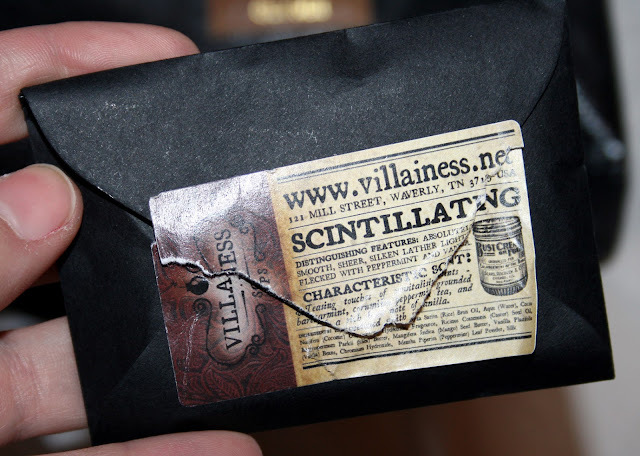 i also love Villainess and am planning to try one of their other scents that are available on the Glymm shop! I'm really excited too! I hope someone in our circle scores big! Thanks for pointing out my error I will fix that! :) Let me know what you end up trying! I will! Shehrzad, do you have any beauty subscription services where you are? love this idea. I get something similar in the US called - GlossyBox. I love it and look forward to the samples every month!. We have Glossybox here too!! I get that one too...because I'm an addict lol. Ohhhh amazing! I just want all Villainess products! I have a 10 piece set from the new black. Small bottle, but should definitely do you 10-20 MANICURES. 100-200 nails!! Really, eh?! I'm excited to try it... just wish it was a different colour. Ipsy - November Edition, Premiering in Canada!